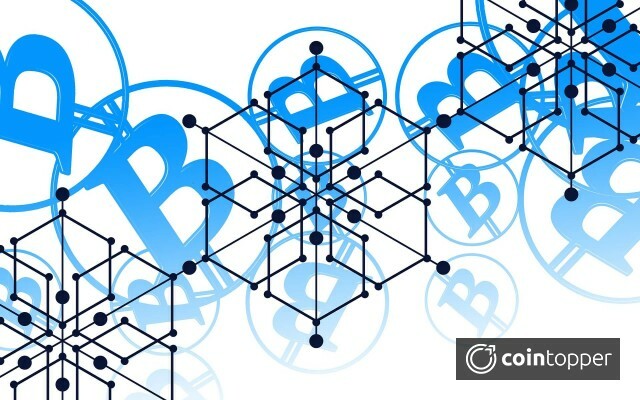 Bitcoin cryptocurrency is too popular these days as it allows the user to perform the transaction without the involvement of any third party or any intermediate in between. It is the biggest cryptocurrency all over the world with some margin. Though it is risky and not that much secured. It takes more time than usual to perform payment transactions which might one of the reasons of delay for the actual work due to which investors are looking for better options and also charging High transaction fees for doing payments. As we are aware that this currency is not owned by anyone specifically to report any such kind of issues either it is related to privacy or performance. Though, these issues cannot be resolved overnight which is also true. Thus, to overcome such kind of issues, Bitcoin Private comes into the picture. What exactly Bitcoin Private is?? Bitcoin Private is the digital currency similar like Bitcoin which allows performing peer –to –peer transaction without third-party involvement but under this, transactions are broadcasted and verified by nodes before sending to the miners for final approval. It provides the facility to the user to keep the sender, receiver and amount private from the other users. As it provides privacy to the people involved in that transaction by hiding their details. It uses the different mining algorithm named as Equihash which offers many advantages over Bitcoin. Though, Bitcoin Private is an open source, decentralized and faster Cryptocurrency that has bigger block size approx. 2MB and block time is also less round to 3 minutes which is better than Bitcoin. Bitcoin Private first pull request was made in December 2017. From that time, it’s making a place in the market and overwhelmed by their users due to their privacy and security features. Why Use Bitcoin Private (BTCP)? It is the hard fork which provides the privacy as similar to ZClassic these days, though they are nowhere near to privacy level provided by zk-snarks for privacy. Still, they have reasons due to which people are opting for it. Hard Fork basically means a single cryptocurrency which splits into two i.e. old and new versions. It happens when the existing cryptocurrency code is changed or modified. BTCP is co-forked by BTC (Bitcoin) and ZCL (ZClassic technology). • It provides privacy as it uses ZClassic as privacy technology which helps to hide transaction and payment details from the rest of the users. • It is faster enough to perform the transaction due to its increased block size. • It is decentralized as it performs peer to peer transaction without anyone involved in between and data must be recorded in the public ledger. • It is community driven as it is not owned by the specific individual, it is developed by different team members all over the globe and in that each individual is contributing as per their skill sets. • It is an open source, so it gives transparency to the people and users are free to view the database having transactions details. From the above-mentioned wallets, Full node Desktop and Electrum wallet can be downloaded from GitHub site which is accessible to all the individuals all over the world. Make sure, that Ledger Nano S is installed on the device, thus BTCP app is installed. Ledger Nano S requires the user to set up the PIN code, so that if the user lost the Bitcoins in case of loss of Nano S. Pin helps the user to get their Bitcoins back. To use these first two wallets, the user needs to download the zip file from the GitHub page and after downloading unzip it in the system and run it, after that we can start using the wallet by syncing with Bitcoin Private Application. Apart from that, two other wallets can also be used by the users if they are comfortable in using those. Coinomi is used on Android devices where the user can send or receive tokens via Mobile if they have the latest version of Coinomi application in their devices. Bitcoin Private is considered to be the most circulating coin supply among BTC and ZCL holders. Distribution happened on 1:1 ratio which means 1BTCP will be issued for every 1 ZCL and BTC tokens they hold. Till now, 21 million coins are created after combining supply of BTC and ZCL. In the end, it is the new project which is mostly managed by new contributors. They are providing the features which help the BTCP to sustain in the market and allow them to build the trust among investors by taking care of their privacy issues. Many people are joining the community which provides support for BTCP development and its keep growing every day by welcoming these people into their teams.